It is that time of year again for sustainable agriculture conferences. Last year we wrote about a few exciting conferences including Future Harvest CASA’s Cultivate the Chesapeake Foodshed Conference, PASA’s Farming for the Future Conference and many others. This year there is again quite the lineup of educational and interesting conferences around the US. From Maryland to California, here are just a few examples. 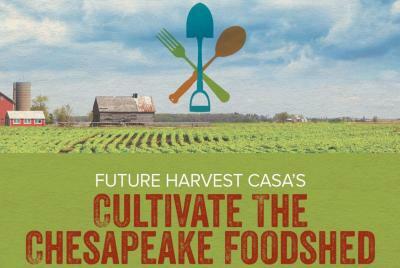 This year the Future Harvest CASA Cultivate the Chesapeake Foodshed Conference will happen in College Park, Maryland between January 11th and January 13th. The conference will have local farm and food workshops, farm fresh meals, great speakers, networking opportunities and more. Keynote speakers include Gabe Brown from Brown’s Ranch, Ira Wallace from Southern Exposure Seed Exchange and Chef Michael Twitty from The Cooking Gene. Don’t miss some of these great workshops: “Understanding Wholesale Buyer Expectations,” “Farm Marketing and Branding,” “Ginger Beer: Traditional Beverage, Hip New Drink” and “The Healthy Soils Movement’s On a Roll.” And don't forget to stop by 1000EcoFarm's table at the conference and meet some of our team members in person! Find more information and to register visit Future Harvest CASA's website. The Pennsylvania Association for Sustainable Agriculture will be hosting the 27th Annual Farming for the Future Conference from February 7th to February 10th in State College, Pennsylvania where it will bring together farmers, processors, consumers, students, environmentalists, business leaders and community leaders. More than 100 speakers will take on interesting sustainable agriculture topics such as “Successful Biological Orcharding,” “Biological Alchemy” and “Building a Sustainable Local Food Economy.” There are full-day tracks, half-day sessions, 80-minute workshops, 90 trade shows vendors, networking opportunities, regionally sourced meals, seed swaps and many special events like yoga and movies. Lindsey Lusher Shute, the Executive Director and co-founder of the National Young Farmers Coalition, Karen Washington, a community activist, and Chris Blanchard from Purple Pitchfork will be the keynote speakers. Register on the Farming for the Future Conference website. The Southern Sustainable Agriculture Working Group Conference will take place in Chattanooga, Tennessee from January 17th to January 20th. With a wide variety of program offerings and nearly 100 expert presenters, it aims to provide conference goers with practical tools and solutions for sustaining family farms. Some short course topics include “Start-Up Organic and Vegetable Production and Marketing,” “Living the Farmer-Florist Dream: Organic Cut Flower Production and Marketing,” and “Food Safety Practices for Small to Mid-Scale Producers.” There are many concurrent general sessions options, networking opportunities, seed swaps and poster sessions to participate in. The conference is offering a variety of field trips to urban farms and to an on-campus farm at the University of the South. Visit the conference website for more information and to register. The Sierra Harvest Sustainable Food and Farm Conference will occur February 9th through 11th in Grass Valley, California. Joel Salatin will speak about regenerative farming and ranching, Elizabeth and Paul Kaiser will present about no till and high yield sustainable farming and Dr. Daphne Miller will talk about healthy soil and its impact on your health. FamilyFarmed will present an all-day workshop on post-harvest handling and food safety and Tumbling Creek Farm will host a workshop on how to grow mushrooms. Other workshops include “Fermentation for Health: Hands-on Demos,” “Managing and Restoring Ponds,” and “Preserving your Agriculture Land in Perpetuity.” The conference also includes farm tours, an expo, an ag tech micro conference and a mixer. Buy tickets and learn more at the Sustainable Food and Farm Conference website. Also note that there is a discount for qualifying farmers and farm employees. These conferences offer a unique opportunity to learn about sustainable agriculture for all people from consumers, to farmers and anyone in between. Hopefully you can make it to one or more and if you have the opportunity to attend Future Harvest CASA's Cultivate the Chesapeake event, be sure to say hi to the 1000EcoFarms team who will be exhibiting.